Homeopathy is an advanced, effective, and gentle system of holistic medicine that has been successfully used for over two hundred years and on every continent. Homeopathy is not to be confused with herbal medicine or nutritional therapy. The set of principles that guide the selection of a medicine make homeopathy a distinct and integral system unto itself. Homeopathic medicines, called remedies, may be safely and effectively applied in chronic (long-term) conditions, as well as acute (short-term and self-limiting) illnesses and injuries of adults, children, and animals. In treatment, it is the individual as a whole system that is considered as opposed to treating the named disease. The goal is to relieve symptoms permanently. Though derived from natural substances, homeopathic remedies are considered drugs by the FDA, and are regulated by the Homeopathic Pharmacopoea of the United States (HPUS) assuring consistency in the production and safety of the remedies. 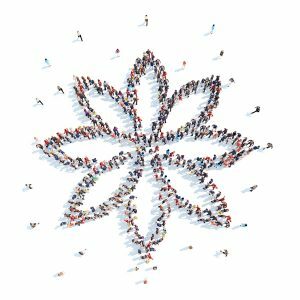 There are many integrative healthcare professionals that will strive to therapeutically apply the fundamental principles of homeopathy in addition to other primary interventions. Yet, as you explore the principles below, it should become transparent that co-mingling various philosophically differing strategies cannot be accepted as universally safe or of providing maximal benefit. This is not to be interpreted that different modalities cannot be used together safely, rather it is to call attention to the goal intended. The professional homeopath may suggest additionally utilizing other medical intervention strategies, but they will make recommendations respectful of the fundamental principles of homeopathy. The Law of Similars states that a substance that demonstrates the capacity to generate a pattern of symptoms in trials can be used in very small doses to treat a constellation of similar symptoms in the ill. This means that the medicine is very precisely applied. In the First World War, there was a Homeopathic medical corps, staffed by 100 nurses, 22 physicians and two dentists, nearly all Homeopaths. In 1922, President Harding, whose father served as a Homeopathic physician in the Civil War, hosted a convention of Homeopaths at the White House. 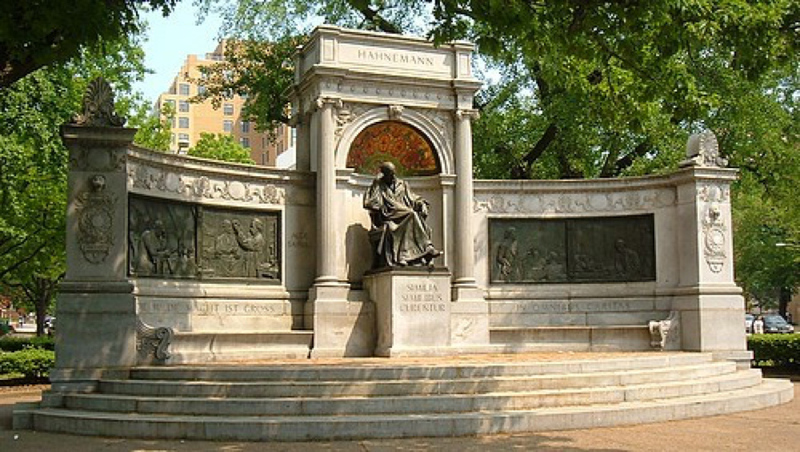 The only monument to an MD in Washington D.C. is dedicated to Samuel Hahnemann MD, the founder of Homeopathy. Samuel Hahnemann (1755-1843), the chemist and physician that codified the homeopathic system, rediscovered the ancient principle stated by Hippocrates (462-377 BC) of curing through symptom similarity. He was the first to implement systematic trials called provings on healthy volunteers (called provers) to precisely explore the medicinal potential of various substances. Experiences of the provers mentally, emotionally, and physically were recorded in minute detail developing the “drug picture” or indications for use. Today we understand these trials as toxicology studies. It was through careful clinical experiments that he created and refined the homeopathic system of medicine at the beginning of the nineteenth century. Over the years, by means of provings, other toxicological data, and clinical experience, the homeopathic drug “pictures” of over 3000 substances have been derived. The professional homeopath will undertake a detailed interview with a client, to reveal the physical, psychological and emotional characteristics and complaints of the individual. The practitioner then uses the collected research data (most usually utilizing a computerized program) called the material medica to isolate a substance most similar to the client’s totality of experience. The homeopathic prescription is given to stimulate/ amplify the innate self-organizing ability to heal: like cures like. The precise application of the small dose to that of the whole system heals the whole system completely and has no side effects. Hahnemann was well ahead of his time! The idea of our beings as integrated systems versus parts like a machine did not emerge as a paradigm for perceiving the world until the late 1940’s. The ideas of Systems Theory, the body as a completely integrated system mentally, emotionally and physically have only recently been gathering acceptance in medicine. The medical field clung tightly to the ideas of the body as a machine, with “parts” to be addressed separately including a complete separation of the mind and emotions as contributors to disease. Accepting “stress” as a contributor to chronic illness has been a major milestone for conventional medicine, though medication dose size and strategies are fully intended to suppress the presenting symptoms versus permanently correcting the state of chronic disease; it offers a symptom “management” strategy. Respecting that small doses of a similarly applied substance could be curative, the next challenge Hahnemann investigated was just how small! Systematically exploring dilutions in standard ratios of 1:10 (X potency) and then 1: 100 (C potency) vigorously shaking the solution at each stage of dilution. He ironically found that the smaller the medicinal dose, not only did the medicine become less toxic it became more effective. Very poisonous substances that generated symptoms similar to disease states could now be applied medicinally without risk. His protocol for the development of the remedies requiring serial dilution (in a water/alcohol solution) and shaking, called succussion, is followed precisely today and is closely monitored by the FDA. The remedies are often used in potencies where the dilution contains no more full molecules of the originating substance and are otherwise known as high dilutions; ultra-high dilutions or nano-particle medicines. Despite nearly 200 years of skepticism and criticism due to a lack of explanation for the bio-activity of remedies, homeopathy grew worldwide! People reported what would seem to be miraculous cures of adults and children and animals in ways that far exceeded what might be attributed to the interface of the practitioner or any emotional connection to the possibility of the cure. Records of successful use in epidemics of cholera and flu provide historical testimony and more recently the successes with epidemic leptospirosis in Cuba and Dengue fever in control studied Brazilian communities. Not “clinical studies”, this body of clinical evidence is referred to as “anecdotal”. Though various frontier scientists began work as early as the 1920’s in understanding biological systems as energy, the communication of the system through high dilution signals (such as with hormones), and energy fields as formative, rigorous research into homeopathically prepared dilutions carried a threat and stigma which prohibited serious investigation. Just how the ultra-high dilution of homeopathic remedies could possibly contain “something” that had affect remained a mystery. Then in the mid-ninety’s a shift happened where stifled need for independence to study highly diluted substances resulted in the International School of Biophysics on High Dilution Effects on Cells and Integrated Systems. The Istituto di Cibernetica of the Italian Consiglio Nazionale delle Ricerche (CNR) in Naples, Italy, October 1995 organized the program. The topics ranged from “Biophysical Aspects”, to “Clinical Evidences” and “Structure and Communication”. Non-molecular transfer methods were hypothesized and the fact that the accumulated knowledge on high dilution effects may produce a “new paradigm” for medicine was seriously weighed. Awareness and discussion of the practical topics such as “economic and political structures for which he High Dilution phenomena are very often officially ignored, and to intervene at the right public structures” were not overlooked. The overwhelming effect of ultra-high dilute substances (homeopathic) evidenced without doubt that the remedies contained “something”. The precise procedure in the production of the homeopathic remedy proved essential for the high dilute formulas to retain a signature frequency or “memory” of the source substance, but how and why it happens or exactly how then it affects the biological system remained a mystery. 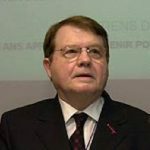 In 2009, Nobel winning scientist Dr. Luc Montagnier published his research findings on the bioactivity of homeopathic preparations validating that highly diluted and succussed solutions emit low frequency electromagnetic waves capable of conveying accurate information about the source substance. Physicist colleagues propose that the stable nanostructures in water emerge as coherent quantum domains that are surrounded by an electron cloud, are relative stable and have the ability to carry information. There is no further debating the viability of homeopathic remedies. The storied history of Homeopathy and the Minimal Dose is surely not finished. Bio-tech is currently investing millions to develop nano-particle medicines. What the current research seems to miss is the principle by which the ultra-high dilution/remedy is to be applied: the Law of Similars. All told, homeopathic remedies appear to now have the science to validate the remedies as active medicine and the proving research with the Law of Similars remains the steadfast, time-proven principle for effective application. Homeopathy, a holistic system of medicine utilizing the Law of Similars, the Minimal Dose, and the Single Remedy appear to be best understood in the framework of physics/resonance. The goal for safer and curative medication through ultra-high dilution is not a hypothetical vision for the future; it is available now. Unpatented production offers cost effective, safe and effective healthcare solutions today. Homeopathic remedy/drug pictures are established by provings of one substance at a time. There are no studies on multiple substances at the same time. The Law of Similars matches the singular pattern of energy between the presenting symptoms and the remedy/drug picture. Clinical evidence clearly illustrates that one pattern is identifiable and dominant at a time. There are no studies on multiple substances at the same time. Furthermore, concepts in physics of resonance by which homeopathic remedies are thought to function would also suggest a signal/pattern of energy would be evident as specific phases. So what about the popular complex remedies? Do the unique combinations of several of remedies make them better? Not really. They are like a “shotgun” approach of utilizing several items that have drug pictures common to the focal concern. At best, one of the contained remedies will offer benefit. But when the signals of several remedies are combined, there is a very strong chance that they also interfere with one another. In fact frequently the combinations of remedies used have well known possibilities of canceling one another. Additionally, there may be remedies in the complex are not beneficial to the given state of the individual. So, a combination remedy is, at least theoretically, less effective than the properly selected single remedy. Still, the reported benefits from the combinations generate satisfied consumers and afford safe alternatives for self-limiting concerns, even if not offering maximum benefit. The combination remedies offer an introduction to homeopathy with hopes of educating the public to the philosophical framework, safety, and potential of homeopathy to also address chronic concerns through professional homeopathic consultation. Homeopathic remedies are recognized under the 1938 Food, Drug, and Cosmetic Act, the 1965 Medicare Act, and the 1987 FDA Compliance Policy Guidelines. These safe, gentle but deep-acting medicines can be used to treat people of all ages and animals experiencing many kinds of medical conditions. For more information on the modern research related to homeopathic dilutions, systems theory application for homeopathic research, etc. see the Homeopathy Research Institute. C.Taddei-Ferretti, P.Marotta ed, High Dilution Effects on Cells and integrated Systems. Proceedings of the International School of Biophysics, Casamicciola, Napoli, Italy 23-28 October 1995. Series on Biophysics and Biocybernetics, Vol 3 –Biophysics, 1998, World Scientific Publishing Co. Pte. Ltd.
(11) http://avilian.co.uk/ –This site provides references and links to many high quality basic science studies.